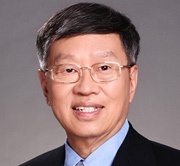 Winners in the fourth annual Asia-Pacific Stevie® Awards, the only awards program to recognize innovation in business throughout the entire Asia-Pacific region, were announced today. 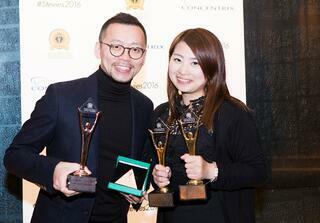 The list of Gold, Silver and Bronze Stevie Award winners is available at http://Asia.StevieAwards.com. The Stevie Awards are considered to be the world's premier business awards, conferring recognition for achievement in the workplace over the past 15 years in programs such as The International Business Awards and The American Business Awards. 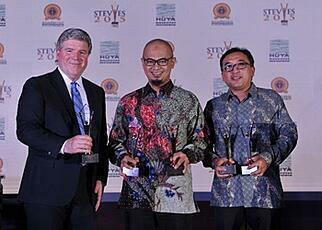 This year’s top overall winner, with eight Gold, five Silver and 18 Bronze Stevie Award wins is Telkom Indonesia. This is the third year in a row in which Telkom Indonesia has led the competition. Close on their heels this year is PT PETROKIMIA GRESIK (Indonesia), with seven Gold, seven Silver and 13 Bronze Stevie wins. Winners of multiple Gold Stevie Awards include Amobee (U.S.A.), Cisco Systems (Australia and India), Freelancer.com (Australia), the Hong Kong Tourism Board (China), MSLGROUP (China), PRIZM (China), PT Angkasa Pura II (Indonesia), Shopping Center Management Corporation (Philippines) and TBM Co., Ltd. (Japan). Stevie winners will be presented their awards at a gala banquet at the Hilton Hotel in Tokyo, Japan on Friday, June 2. Tickets for the event are now on sale. 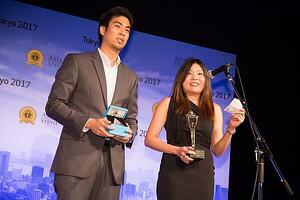 “We congratulate the winners of the innovation Stevies and look forward to celebrating their achievements with them in Tokyo on June 2,” said Michael Gallagher, founder and president of the Stevie Awards. Sponsors and partners of the 2017 Asia-Pacific Stevie Awards include PR Newswire Asia, the official news distribution partner of the awards, and the Korea Business Communicators Association.